Zoiks! 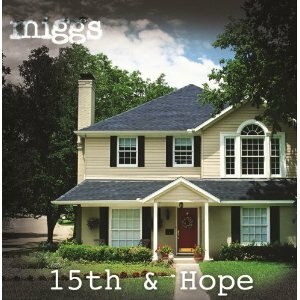 : You’ve got a new album out called "15th and Hope," it was produced by Phil Ramone. When I think of Phil I don’t necessarily think of rock music, but I do think of great music. What was it like working with Phil and what made you decide to choose him? Don Miggs: That’s funny because you say the same thing that I said when it was brought up to use him. What I thought of with him was not being a typical rock producer, but his Billy Joel albums are all great. His Paul Simon and everything he’s done is great because they sound like the artist. They don’t sound like a producer. I figured that if we could get an icon like that, and he was interested in doing a record with us, then it would be dumb of us not to do it almost. You know, he has 15 Grammy awards and another 35 nominations, and I just thought he is the last of a real sort of dying breed. There’s him, George Martin, and Quincy Jones who are like the three iconic producers from that long ago era. I just thought, I know it’s not going to be hip or cool, but screw it I want to make a record with him. And I didn’t think it would get all the hoopla that it did because before we started the album, we didn’t have a record deal in place with EMI and Elm City. I liked the idea of making a record and not thinking about sounding hip enough or too rock or not rock, so that’s kind of where that came from. It was like what you would think… it is hard to even explain… he’d been there so much. He knows so much about music that it was sort of awe inspiring. It was like being with your favorite uncle or your grandfather telling you these names and stories that could probably never happen today. Like him hanging out with Ray Charles and the music they made, or a million stories like that. He made us feel like we could do anything. I never felt like I was in the room with someone who thought he was better than me. And, I tell you I have made 6 records to this point and every time I’ve been in the studio with a producer who claims to like my voice, once we got into the studio almost everyone of them have tried to change the way that I sing. Phil never did that and that to me was like he knew he was making our record and we weren’t making his record and I really appreciated that. Z! : You guys had a lot momentum going into this one, did you feel that momentum going into this album? DM: I knew we were making a great record because we had just ended the tour. We had that Lindsay Lohan video and stuff. We did sort of a weird thing. We didn’t really have, with all do respect to our record label, the right relationship with our label and it wasn’t a big enough label to maybe take us over the hump. We knew that we were in the middle of being really productive and I had written a bunch of songs and we were rehearsing during sound checks and stuff. We knew we had something that was pretty cool. Once word got out and when I knew we were onto something was when the labels started calling. They were saying we’re interested in your record and we thought maybe there’s something here that we could be proud of and that we could really push. We sort amped the Migg’s machine in terms of how we did things in the past. We’ve always said no to working with major labels, well at least in the last five to six years. I’ve said no to a bunch of things we don’t normally want to do. For this album I just wanted it to be heard. We’ll go out and play door to door if we have to. What we’re not going to do is another Lindsay Lohan thing. Not that that was a mistake, but it’s not who we are. We were shooting for something that I would never shoot for again. Z! : It seemed like it was fine, it just got all this added attention that wasn’t really about the music or the song. DM: You’re 100% right. That’s what I learned. I want sensational to mean great. Nowadays sensational just means newsworthy. When the whole Lindsay thing happened it was like, ‘hey you can get on Howard Stern and talk about what a wreck Lindsay was.’ I don’t wanna trade dissing somebody for a minute of popularity, because we all know all those reality stars that none of it lasts, nobody cares about that stuff really…maybe for a minute they do. Mostly they care about it to laugh at it and I didn’t want to be one of those so we decided that the video speaks for itself and don’t get involved with the extra crap that goes with it. Z! : I wanted to ask you about the lyrical theme on the album. I was reading a quote from you that mentions that you wanted to make an album with music that related to where 99% of Americans are right now, what did you mean by that? DM: I’m one of the lucky ones. I live an amazing life. I’m a guy in a rock band and I have more money than a lot of people. I know that there are people that don’t want to hear that part from me and that I should just count my blessings and sit down and shut up. I’m the lucky guy who gets what he wants out of life and I get there. I grew up with only dreams and I had no clear path of how I was going to get there. I had a dad who worked every day, every hour to put food on the table and keep us in good clothes and pay for my mom’s medical bills. It really sort of taught me that we’re all sort of in it together. There’s the rich and the poor, the have and the have nots, the black and the white, the gay and the straight. Everybody really wants the same thing. They want the opportunity to get their piece of whatever the American dream is. As a writer I can’t help but have the climate affect my words. I wanted to have an album that related to where 99% of America is. We’re all sort of at a cross roads, whatever direction you take is going to drastically affect you for a lot of years. That’s sort of where the title came from, "15th & Hope." It’s not an overt message, but its in the fibers of the stories the tone of the conversation and the delivery of the music. They’re songs about every man living in anywhere America and his right dream and see a future and a potential for greatness. I know it sounds pretentious and, ‘just shut up and play music,’ but I have a three year old and a one year old and I feel like I want to talk about things where everybody feels like we’re sort of connected as opposed to we’re not, because we are. I’m sorry maybe it’s because I haven’t eaten breakfast that I sound like a nitwit. I wanted the album to sound inclusive or that it was above anybody or too heady, I just wanted to make a record where the themes were universal and I did my best to say them in a way that was poetic or even just heart on your sleeve at times. Z! : Has your writing style changed at all over the years? DM: Really when I drill it down I’m just trying to write a better version of the first song I ever wrote (laughs). Really if you think about it, what’s your favorite music still? It the stuff you first listened. That’s the stuff that pulls at your heart. I know that doesn’t sound very innovative, there are a lot of times I’ll hear something that I love coming on the radio or something that really influences something that I write, but in the end you still use the same tools. Z! : You’ve come up in the internet age and you’ve had some success. What is the key to that success and what advice would give to a young band trying to come up in this age of music? DM: Man, if I had the real answer to that there’d be more Beatles. Dammit I wish I knew. I don’t know. I try to connect with people, some days it works some days it doesn’t. I’m boggled, my mind is just blown when I see a video of a cat jumping off of a roof that has like eight million views and our video for "Stars," which I think is fantastic, has a couple a hundred thousand. I don’t know how all that stuff works. I wish I had the key man. All I can say to bands coming up. Music is about connection. Figure out a way to connect to somebody else and make it where they’re interested in connecting what you’re doing with them, to somebody else. Marketing says if you do something somebody hates they’ll tell 11 people. If you do something somebody loves they’ll tell one. You’ve got to get a lot of people to like it to turns people’s heads. Don’t rely on a record company; while they can be great for you, to most people it’s not going to work. You have a better chance of winning the lottery than making it in music. Once you understand those incredible odds the idea is to do it because it means something to you, then if you can make a dollar out of it then you can respect the fact that you’re getting paid.